When you are travelling with the train in the Netherlands and you are feeling hungry or thirsty, you can get your food and drinks from these Kiosks. A cup of hot coffee, a quick croissant or some candy. They have it all! Quite convenient and a bit more expensive than in a normal supermarket, but hey who cares right. When you need food, you need it. 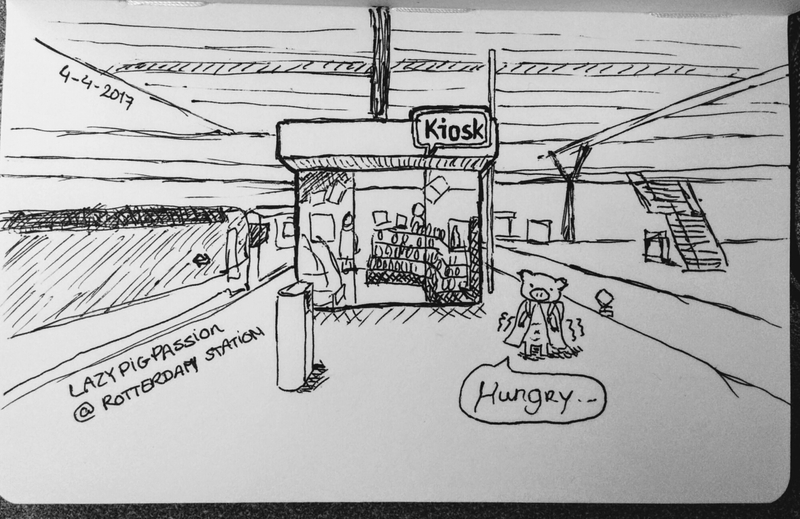 This entry was posted in Blog and tagged ahtogo, drawing, hungry, kiosk, on the road, sketch, train travelling. Bookmark the permalink.